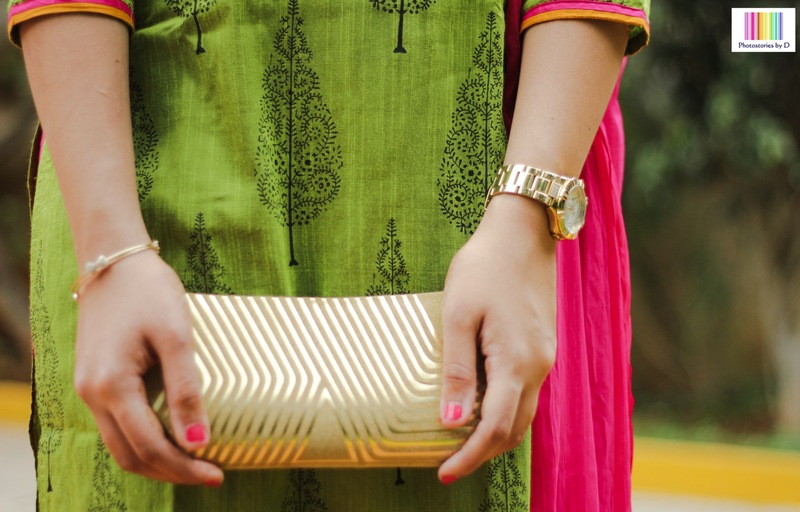 Ive chosen the Colour apt for Indian Weddings - The Olive green with a Pop of pink! Hello all! Hope you’ll are enjoying your weekend! The wedding season is finally here and all we women are always confused about getting the perfect look for the endless ceremonies! Today,I am going to post The Engagement look,the very first of the Wedding Ceremonies. 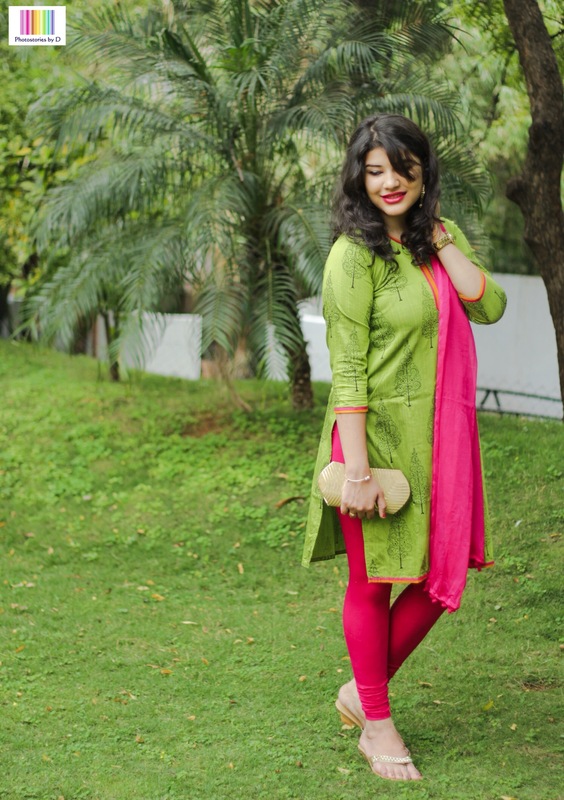 Ive chosen the Colour apt for Indian Weddings – The Olive green with a Pop of pink! 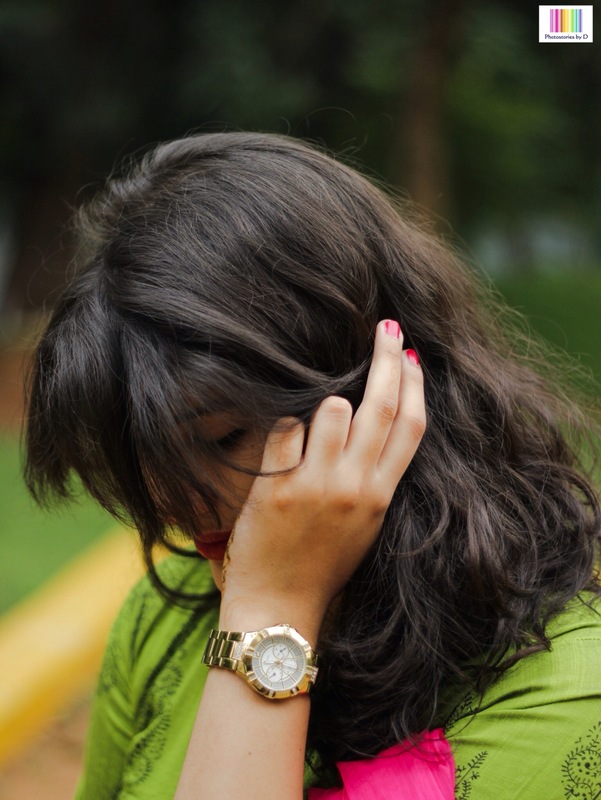 Since I’ve matched it with a bling of Gold,I’ve worn the “much in trend” Golden Guess watch to match the look. 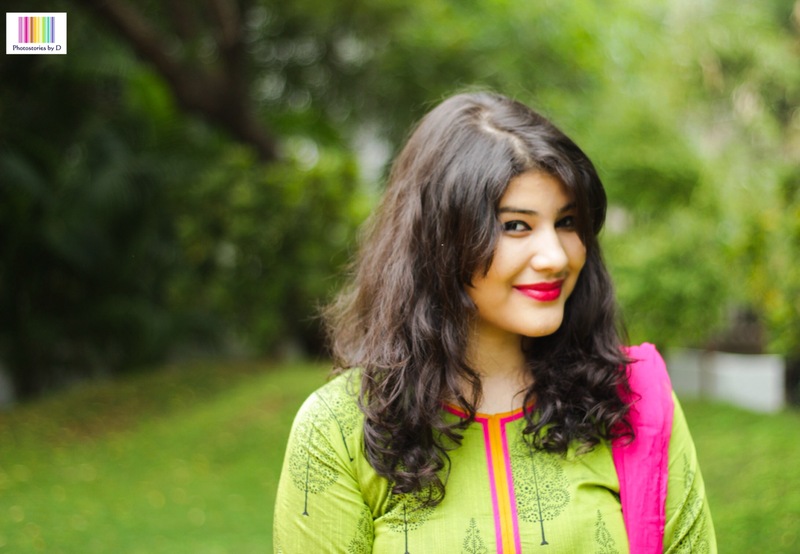 The lip colour used for this look is the ‘Flaming Function’ from the Lakme 9 to 5 collection. Here is the complete look! The combination is perfecto . Stunning Look.. & Great Designs Too.. Meenakshi. The entire look was so cute and fresh.